It’s a well-known, yet seldom completely understood phenomenon that the longer and deeper you trudge on in life, the more and more death presses in on one’s mind. At a certain point, staring death in the face becomes less of an activity for interdimensional cosmonauts and more a reflection eked by necessity. Noah Lennox, the artist best known as Panda Bear, known in an even more superlative sense to be one of the founding members of longstanding experimental and psychedelic music titan group Animal Collective, is getting old. He has a wife. He has kids. He’s moved from New York to Lisbon, Portugal. And now he’s let loose that there’s a lingering dark cloud casting a nebulous shadow from overhead. Thankfully, Lennox’s dance with death is about as graceful, colorful, and thoughtful as one could hope for Panda Bear—and his girls. Following up the busy frolic of Person Pitch and lower crawl of Tomboy, the first thing noticeable of Grim Reaper is the sweet, tethering quality of Lennox’s voice. Panda Bear’s deep, inviting croon on opener “Sequential Circuits” is nothing less than the lyrics of a distant guide loosely shepherding listeners through a dream with the beckon call, “follow the lead.” The production is wet and murky, providing the sensation of a wade that’s only about ankle-deep until the melody succumbs to a soon-to-be-familiar fog of dark reverb. The vocals remain largely intact for lead single “Mr Noah.” Lennox’s own opening croon is now replaced with a curiously haunting sample of a whimpering dog until Panda Bear materializes suddenly with the hook, “This dog got bit on a leg.” To more truthfully write the line, however, it would be appropriate to stretch and slice the word ‘leg’ until it resembled something of a typographical nightmare. But the refrain itself is a sonic sugar wash, hypnotic and captivating with no release. Meanwhile, the back-end of the track rebounds and trudges along with noisy jazz rap-inspired drum patterns, the occasional yip from another dog, and Lennox lyrically tussling with a past of extensive drug use. It’s in this mode betwixt introspective musing and playful romp that Grim Reaper sails along with its most confident songs. Seven-minute centerpiece “Come To Your Senses” is what appears to be Noah having a vague conversation with himself, piqued by the refrain “Are you mad?” caught halfway between thoughtful concern and smug caroling. Lennox even stated that the song elicits an ocean, a “steady dull roar” that erases all and comforts unconditionally. Here, the irony is that “Come To Your Senses” is sonically dense, funky, and groove-driven from its opening wave crash distorted noise to its squabble of electronic seagulls at the end. 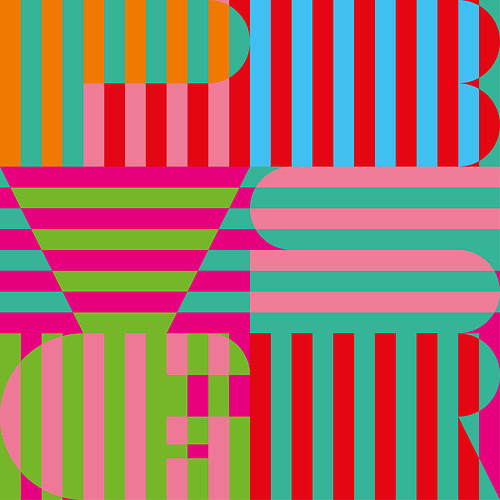 And yet Panda Bear’s approximation is nonetheless true: the drums roll and the melody pulls and tugs with the calming lurch of the ocean, all-consuming yet uplifting at the same time.